Syria and Hizbullah are mounting an offensive against the Special Lebanon Tribunal (SLT), which was established to investigate the Hariri murder in 2005. This offensive is related to the collapse of the peace talks. Elias Muhanna of the Qifa Nabki blog has some critical words for Saad Hariri’s handling of the affair. Hariri may indeed deserve blame for his weakness on this issue, but he is in a difficult position. There is no good solution for the March 14 crowd. Anti-Syrian and Hizbullah Lebanese were persuaded wrongly by President Bush and the neocons to rally their troops behind America, which promised that the region was on the threshold of a new world that Washington would usher in with its invasion of Iraq. Bush’s claim that by crushing Saddam Hussein he would destroy authoritarianism throughout the region was enticing to Lebanese who had chaffed under Syrian tutelage for 30 years. The dream that Lebanon could realize full sovereignty within the West’s orbit was intoxicating. It turned many Lebanese into neoconservatives in a flash. The fact that Washington needed to use brute force to achieve its “peaceful” and democratic” ways did not seem to trouble this crowd and set off no alarm bells. As Lebanon split over the decision to follow President Bush, many deceived themselves that more violence could lead to peace and that Hizbullah and the Palestinians could be disarmed without war and without their grievances being addressed. Bush’s ill fated plan to wrench Lebanon out of Syria’s sphere of influence has been reversed. Hizbullah and Syria’s attack on the SLT is only a final phase. The promise made to the Hariri camp that the US would stand behind and protect it was empty. It is not Obama’s fault that the March 14th group has fallen apart. President Bush presided over the collapse of Cedar Revolution. He did nothing in May 2008 when Hizbullah forces rolled into Beirut and held Hariri’s people at gun point. Any pretense that the Lebanese Army was on the side of Hariri and the United States was dispelled that day when Hizbullah handed its captives over to the Lebanese Army, which worked with Nasrallah’s militia without firing a shot. Saad Hariri is now reaping the bitter harvest of Bush’s overweening arrogance and misunderstanding of the region. The court that was established outside the normal UN legal framework – a special court – to serve President Bush’s plan to destabilize Syria and disarm Hizbullah is now being attacked by the powers that it was meant to hurt. Hariri and the March 14 alliance were always the weakest link in the coalition put together by President Bush and Jacques Chirac in 2004. It is little surprise that they are now being targeted by Syria, Hizbullah and Iran. 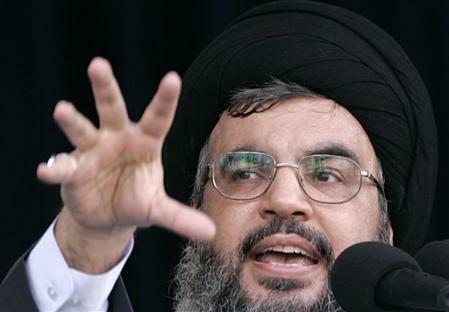 Syria and Hizbullah are demanding that the Lebanese government disassociate itself from the Special Lebanon Court. They cannot stop the court itself, but they can hollow it out by having the Lebanese government and Saad Hariri in particular disown it. Edward Said throwing a stone at Israel on July 3, 2000. The collapse of the Palestinian-Israeli peace talks and Obama’s decision to support Israel despite its refusal to stop expanding into Palestinian and Syrian land is directly connected to Hizbullah’s move to consolidate Lebanon’s position in the Syrian and Iranian camp. It will only be a mater of time before Israel strikes at Hizbullah and Lebanon again. The US, which has been so powerless to restrain Israeli expansion into the West Bank will surely prove as powerless in restraining Israel from seeking a military solution to Hizbullah and Syrian supported resistance. Israel’s determination to keep the Golan and ignore the Palestinian problem will not go unanswered. President Assad’s trip to Tehran last week where both leaders reiterated their commitment to resistance was a direct response to the collapse of the peace process. Ahmadinejad’s coming visit to Lebanon and his supposed plan to throw a symbolic stone toward Israel – a la Edward Said – will evoke this steadfastness in an act of political pageantry that is sure to make headlines. “… Who is to blame for this fiasco? While it is fairly clear that the false witness file is just one part of an opposition campaign to discredit the STL, I feel that Saad al-Hariri is ultimately responsible for allowing this issue to snowball. Did he not recognize months ago that this was going to be the opposition’s game plan? Did he think that he was going to get off with a poorly-worded mea culpa in a Saudi newspaper? By remaining out of the spotlight and not tackling the issue head-on, he has allowed the opposition to take complete control of this story. And the longer he tries to ignore it, the more suspicious and deceitful he and his allies look. Does it matter whether or not the 33 summoned individuals actually offered false testimony or tampered with evidence? No. What matters is that the opposition has been given an open floor to argue that the Special Tribunal for Lebanon is nothing but a vast conspiracy relying on false witnesses. I’ve gotten a lot of flak over the past two weeks for suggesting that Saad al-Hariri’s premiership is little more than a sustained absence, and that March 8th politicians have better rhetorical chops than their counterparts in March 14th. Let me ask you naysayers once again: let’s imagine the tables were turned, and that a media campaign was being waged against Hizbullah. Would Nasrallah remain quiet, or would he respond to his accusers calmly and clearly (and, probably, disarmingly), batting away their claims like the wispiest of dust bunnies? Syria has regained political momentum and is wielding its influence throughout the Middle East; Damascus sees its play for power in Lebanon as part of its reward for outlasting the era and policies of former US President George W. Bush, who led the drive to ostracize Syria, Hanna said. For example, Syria has backed Iraqi Prime Minister Nouri al-Maliki in his bid to retain his post, so his apparent victory in securing sufficient backing last week to stay in office would represent another victory for Syria, Hanna added. In that light, the Saudis were essentially ceding control over Lebanon – and Hariri’s government – to Syria when Saudi King Abdallah and Syrian President Bashar Assad visited Lebanon together on July 30 to declare their commitment to maintaining calm here, Hanna said. Riyadh sees itself surrounded by rising Iranian influence and conflict in Iraq, Yemen and Qatar, and the kingdom was willing to give in to Damascus on Lebanon in order to get Syrian help in Iraq, Hanna said. In the end, regional vicissitudes will probably not determine the evolution of the Syrian-Hariri dynamic; Syria can likely count on always having a wealth of partners here to work with it in keeping the upper hand over Hariri, because Lebanese politicians never cease to run to Damascus for partnership when political fortunes turn against them at home, Solh said. “The lack of consensus of Lebanese politicians on basic issues will always help the Syrians, especially, to have influence in Lebanon,” he said. The former opposition led by Hizbullah has been campaigning hard to put the issue of the “false witnesses” at the heart of the national debate about the UN court. Early in the investigation, two Syrian supposed witnesses approached the investigative committee, then headed by Mehlis, with what was taken to be evidence implicating Syria and its allies in the security apparatus of Lebanon, then dominated by Syria. They soon retracted their statements, but four generals arrested on the strength of their statements, including Al-Sayed, remained in Roumieh prison until they were released last year for lack of evidence. Al-Sayed, who has publicly accused Al-Hariri of paying the witnesses, filed a lawsuit with the Syrian judiciary, which he said prompted the warrants. Al-Hariri was not among the 33 names, but Syria’s step was seen as part of so far covert, but growing, pressure on him to denounce the tribunal. The Syrian economy is always the “other story.” If Syria cannot pull off economic liberalization fast enough or well enough, all its successes in foreign policy will be for naught. This leasing law is BIG. It sounds boring but it isn’t. Economists have shown that “leasing” gives a greater boost to economic development and investment than stock markets in developing countries. A friend has been involved in the promulgation of this law, which has allowed me to keep abreast of the process and to get a blow by blow account of what goes into changing a law of such importance in Syria. I must say that what I have learned is heartening about Abdullah Dardari’s office and the speed at which things can change in Syria. All the same, one cannot deny that the process is half-hazard and weak on procedure. Syrian leaders want change and can legislate it. Damascus, (SANA) –President Bashar al-Assad on Sunday issued legislative decree no. 88 for 2010 licensing financial leasing companies. The decree stipulates establishing financial leasing companies and Islamic Ijara (leasing) companies as joint stock companies (JSC) in accordance with this decree. The decree includes general rules and regulations for financial leasing contracts and the legal items for the rights and duties of the lessee and the lessor. Minister of Economy and Trade Lamia Assi said the Legislative Decree No. 88 issued by President Bashar al-Assad on Sunday adds a new component to the financial system in Syria and enriches economic and trade life. BEIRUT (AFP)–Syria has issued arrest warrants against Lebanese and foreign officials over false testimony given in the probe into the assassination of ex-premier Rafiq Hariri, a general held over the killing said. Jamil Sayyed, the former head of Lebanon’s security services, said the top investigating judge in Damascus had issued 33 warrants “against judges, security officers, politicians, journalists and other Lebanese, Arab and foreign officials and individuals.” Among those named in the warrants is Detlev Mehlis, the German prosecutor who led the early stages of the U.N. investigation into Hariri’s 2005 assassination in a massive bombing, he said in a weekend statement. Damascus (dpa) — A group of 11 people has been arrested for alleged organ trafficking between Syria and Egypt, Syrian media reported Monday. The group is thought to be responsible for trafficking organs from over 150 people in Syria over the past year alone, al-Watan newspaper reported. The group is reportedly led by a 26-year-old woman known as Fadia, who coordinated organ trafficking from slum areas in the Syrian city of Aleppo and organ buyers in Cairo. Fadia allegedly organized travel for donors to Cairo, where they would sell one of their kidneys to patients from Gulf Arab states for meagre amounts of money. Syrian President Bashar al-Assad formed a company to guide investment at home and abroad while transforming the country’s financial markets and infrastructure, the Syrian Arab News Agency said. Assad signed a decree creating a state holding company with 5 billion pounds ($108 million) of capital and a mandate to form a sovereign wealth fund, the state news service cited Finance Minister Mohammad al-Hussein as saying. The new company will guide investments and oversee the creation of joint ventures between foreign and domestic companies, SANA said. It’s also tasked with setting up banks, insurance companies and other financial institutions. “The state will become an important player in investment markets,” Hussein was cited as saying. Syria aims to attract as much as $55 billion in foreign direct investment over the next five years, with almost half of that earmarked for infrastructure projects, Deputy Prime Minister for Economic Affairs Abdallah Dardari said Sept. 24. Syria is currently witnessing an influx of high-profile private and public investment projects totaling USD10.36 billion. These cover the residential, retail, hospitality, office, leisure infrastructure, energy, and tourism sectors and involve prominent investors such as the UAE’s Majid Al Futtaim Group and Al Qudra Holding, Qatari Diar and Syrian Qatari Holding, Emaar- IGO, Bin Laden Group, and Khorafi Group, according to Collaboration, Management and Control Solutions (CMCS), a leading provider of project portfolio management solutions. CMCS pointed out that Syria’s new five-year development plan emphasizes the need for the country’s public and private sectors to set up partnerships and invest in project management solutions as a means to help reduce instances of project failure, while at the same time providing an efficient way to monitor project performance. …..The Associated Press today quoted an unnamed official in Damascus as confirming media reports that Tal al-Mallouhi, 19, was being held for alleged involvement in espionage for a foreign country. A U.S. State Department spokesman said the U.S. Senate would approve the nominations of ambassadors to Turkey and Syria after it reconvened following a by-election. A U.S. State Department spokesman on Monday said the U.S. Senate would approve the nominations of ambassadors to Turkey and Syria after it reconvened following a by-election. “… we want to see the nominations of Ambassador Ricciardone and Ambassador Ford go forward and we continue in consultation with the Senate on those nominations … and we’re hopeful that when the Senate reconvenes after the election that their nominations will go forward,” Philip Crowley told a daily press briefing. U.S. president nominated Ricciardone early July to be the next U.S. Ambassador to Turkey. Ricciardone needs the approval of the U.S. Senate in order to begin serving in Ankara as the new U.S. Ambassador. If approved, he will replace James Jeffrey in Ankara, who has been nominated as the new U.S. Ambassador for Iraq. “It does have an impact. These are vitally important countries to the future of the region. They are countries that we need that kind of day-to-day interaction with,” Crowley said. FM tells fellow Yisrael Beiteinu members US wants two-month settlement freeze to draft peace deal that would mean two states for two people along 1967 borders. On controversial UN speech: I wanted to tell the world the truth as I see it. Israel must not be tempted to adopt US President Barack Obama’s suggestion to declare a two-month settlement construction moratorium, as it may lead to a forced (peace) agreement with the Palestinians and a return to the 1967 borders, Foreign Minister Avigdor Lieberman said Sunday. Would personally like to thank the admin. for replacing photo that NYT probably paid big bucks for. The below is extracted from the US “The National Interest”. Settlement of the land was at the heart of the Zionist enterprise from its start in the 1880s. New settlements enabled the “New Jew” to reforge a bond with the ancestral soil and to mark out the territory of the Jewish state-to-be. The settlement clusters more or less defined the contours of the Jewish state that emerged in 1948. Then came the June 1967 Six-Day War and Israel’s conquest of the West Bank and East Jerusalem (and the Golan Heights, Gaza Strip and the Sinai Peninsula). The Arabs, humiliated and outraged by their new defeat, refused to make peace (the “Three Nos” of Khartoum) and the Jews were faced, as they saw it, with a vacuum, a vacuum that politics abhors. The leaders, Labour Party men, wanted to secure the West Bank high ground and the Jordan Valley, to assure Israel’s future security. But the right-wing Messianists spawned by the miraculous victory wanted more, far more, and soon coerced the government, by hook and by crook, into planting settlements in the West Bank’s hilly spine, to assure perpetual Jewish sovereignty over the historic, God-given patrimony. And some Cabinet ministers (Moshe Dayan, Israel Galili, and to an extent Yigal Allon and Golda Meir) were seduced or willingly coerced, themselves keenly aware that the West Bank was biblical Judea and Samaria, the crucible of Jewish nationhood, religion and culture. It belonged to Jews—and should not be given back to hostile Gentiles—much as Americans would never willingly cede Philadelphia to strangers. But the paradox is that incorporating the historic Jewish heartland means incorporating millions of additional Arabs—meaning that the Jewish state will in short or long order cease to be Jewish and become an Arab-majority state. Which is why most Israelis, not just left-wingers, are willing to give up the West Bank—as they very willingly gave up and evacuated the Gaza Strip in 2005. But the Palestinian leadership prefers that the Israelis remain pinioned on the horns of this dilemma, neither able to digest nor vomit the West Bank. Which is why Abbas and company, like Arafat before them, has consistently avoided accepting a “two-states-for-two-peoples” solution. Why allow the Israelis to get out of the West Bank? Why agree to a small Palestinian Arab state alongside a Jewish state when, over time, the Jewishness of Israel will be trumped by Arab birthrates (the high birthrates of Israel’s own Arab citizenry and of the Arabs in the territories) and, as they persist in demanding, a refugee return? Stupidly, Netanyahu and company have decided to stand and fight over the wrong issue. The West, including many favorably inclined to Israel and its continued welfare, oppose Israeli cooption of the West Bank and, hence, oppose Israeli settlements in most of the territory, and demand a settlement freeze while Israeli-Palestinian talks proceed. President Obama may have made a severe tactical error at the start of his administration when he demanded a blanket settlement freeze. But once that demand was tabled, and the Palestinian leadership latched on to it (why not? It was a win-win situation for them), a settlement freeze was unavoidable. Netanyahu, subduing his right-wing coalition partners, should have accepted a settlement freeze and postponed the inevitable crisis in the negotiations until the refugee issue was encountered, like a North Atlantic iceberg. Then, with the Palestinians, backed by the ever-zealous Arab states, demanding Israeli acceptance of the “Right of Return,” the West—certainly the US—would have backed Netanyahu and chastized the Palestinians for unreasonableness. After all, one can’t both espouse a two-states-for-two-peoples solution and the mechanism for its subversion, a Palestinian refugee return to Israel. A refugee return means Israel’s demise. Abbas understands that—which is why he demands it; Obama understands that—which is why, like President Clinton before him, he will oppose it. That is where Netanyahu (and Barak) should have made their stand. Instead, we now have an Israeli-American rift and bad blood, and rejoicing Palestinians. They are now, they believe, one more inch closer to getting what they want, which is all of Palestine. Contrary to QN who attempts to minimize the “false witness” issue, I believe that it is crucial to the future events in Lebanon and the area. When Hariri apologized to Syria, he was naively hoping that this issue will be dropped. He has tried everything to have this issue ignored as he knows that many of his close allies will be indicted. Now he has to wake up from his deep sleep and face up reality. – If the cards are well played, it may also weaken the TSL as the UN will be under attack and pressed to justify Mehlis’ role in the debacle of the investigation on which the TSL is based. Ban Ki Moon may change his tune and find some compromise about the TSL. Overall, a very smart strategy from the Lebanese opposition lead by Hezbollah. Why not letting ‘friendly countries’ ( like Mehlis’s Germany) pay the 49% of the costs of the TSL instead of Lebanon and use this money through a fund to fight growing poverty in Lebanon? the false, meaning lying, witnesses should be in jail. the stl is a conspiracy. unless morris is giving historical facts from an archive, i ignore him. his opinions are propaganda. his conclusions from facts are propaganda. At least Benny Morris admits that it’s all Palestine. Saad Hariri put himself in this situation and, as his father before him, he is playing the sectarian card thinking that it will scare Hizbullah back. This game has been going onsince 2005. Hizbullah was patient enough. Hariri’s goons like Ashraf Riffi and Wissam Hassan think they will get away with their dirty tricks. On the other hand, when Benni Morris was falsifying history about killing and explusing Palestinians as Walid Khalidi proved again and again in his writings, it was not propaganda. When Benni Morris finally acknowledges the truth, what he says is mere propaganda! The dancing-shlomos of the world will be sent back to New York to showcase their “talent” on Broadway. …….“The state will become an important player in investment markets,” Hussein was cited as saying. Syria aims to attract as much as $55 billion in foreign direct investment over the next five years, with almost half of that earmarked for infrastructure projects, Deputy Prime Minister for Economic Affairs Abdallah Dardari said Sept. 24….. Steady employment opportunities, exportable gadgets come before infrastructure spending. Otherwise, will have another Dubai, all dressed up and no place to go. Syria will have an additional problem, a big one, in the next five years. It is like this, imagine a small ball rolling uphill on elevated drive and 200 huge balls, some as big as USA economy size ball, are rolling down on the same drive. In a market economy, one that Baathist Syria is introducing belatedly, you are affected by the world economy. It is a different beast from Socialist protectionism. The very first step Syria needs to do, is what China did, compensate those that the revolution injured, a fair compensation for all those 40 years many Syrians lost property, land factories that are Nationalized and expropriated.